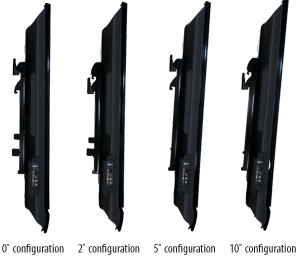 Universal Flat Panel Fixed Tilt Wall Mount For 37" to 60" LCD, LED and Plasma Flat Panel Screens. The unique single rail design of the PFT660 makes it the fastest and easiest mount to install yet. 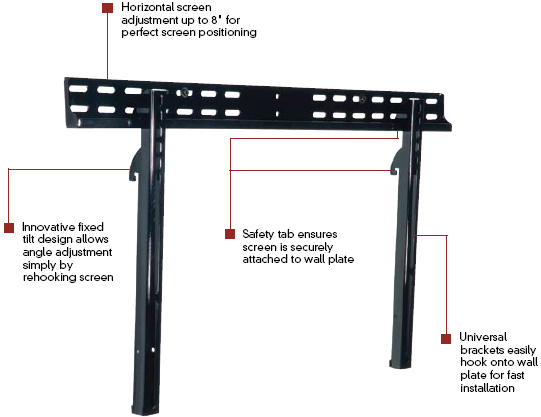 Simply hook the screen on to the single-rail wall plate to simultaneously set the tilt angle and secure it. Its patent-pending safety hooks prevent the screen from accidentally being dislodged, delivering a peace-of-mind with every installation. Its simplistic design and functionality provide the ultimate in value.